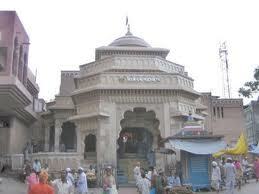 Pandharpur is famous for the Vithal- Rakhumai Mandir (Temple) in Maharashtra. Pandharpur Yatra takes place twice in a year one during Ashadhi Ekadasi (June – July) and second on Kartik Ekadasi (October – November). Every Year in the month of “ashad” there is a Pandharpur Yatra or Pandharpur Wari or pandharpur ashadi ekadashi wari.